I really love this postcard! These penguins are so cool! Heard and McDonald Islands are remote sub-Antarctic volcanic islands located in the southern Indian Ocean about half-way between Australia and South Africa, and just over 1,600 kilometres from Antarctica. The islands are a unique wilderness, containing outstanding examples of biological and physical processes continuing in an environment essentially undisturbed by humans. 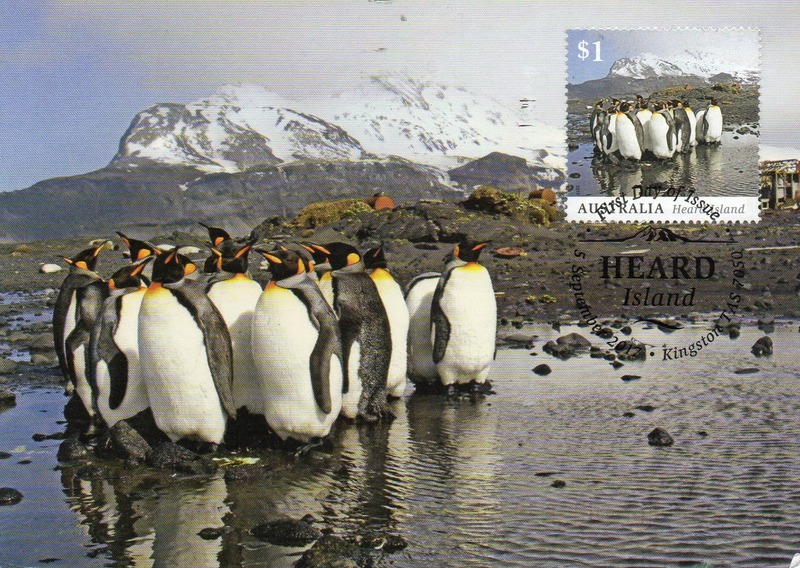 Heard Island is dominated by Big Ben (an active volcano rising to a height of 2,745 metres), and is largely covered by snow and glaciers.